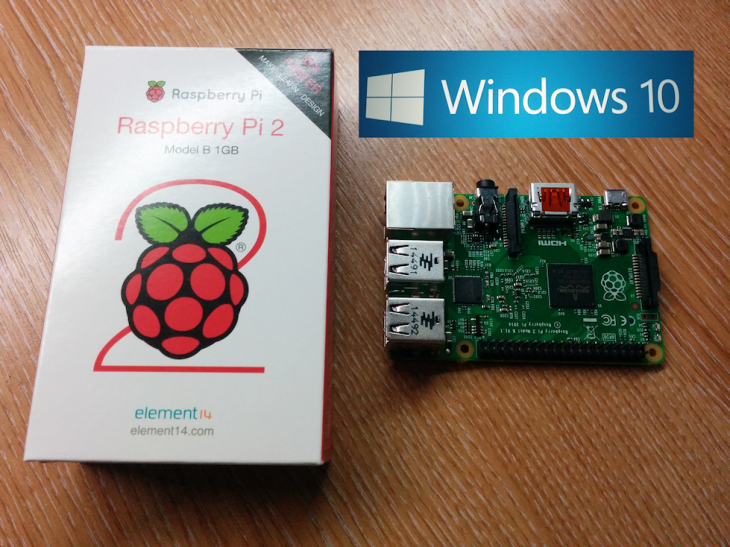 Having recently purchased a couple of Raspberry Pi 2’s to play with, I was intrigued to see what the recent Windows 10 IoT version was like running on it. Being able to run a windows platform on something like a Raspberry Pi would open up a lot of opportunities to put these great little computers to work. I faithfully downloaded the image from Microsoft (you need to be registered to download it, but you can find details on how to do this on google pretty easily). Once downloaded I set about writing the image (in this case an FFU file) to an SD card. This is a fairly simple process using the DISM tool. This is where my problems started, when running the command to write the image to the SD card I would receive the error “The /applydrive option is not recognized in this context”. It seems that you can only use the Windows 10 version of DISM and I’m running Windows 8.1. Not having a spare machine to install Windows 10 Preview on I began the usual Google search to figure out how to install Windows 10 IoT on the Pi using windows 8. There are a few guides out there, but none of them are that simple, so I figured I’d put together this simple guide to help anyone else in my position wanting to try the Raspberry Pi Windows 10 release if they only have an earlier version of windows. I'm James, a radio amateur, software engineer and professional geek. I'm the IT Director for a software company and Director and part owner of a web design, hosting and media business. Copyright © 2014. Powered by BarclayJames Web Design and Hosting.